The main objective of Leeds Fire & Rescue’s Clowns is to teach children the importance of fire prevention and show them the methods of fire safety. 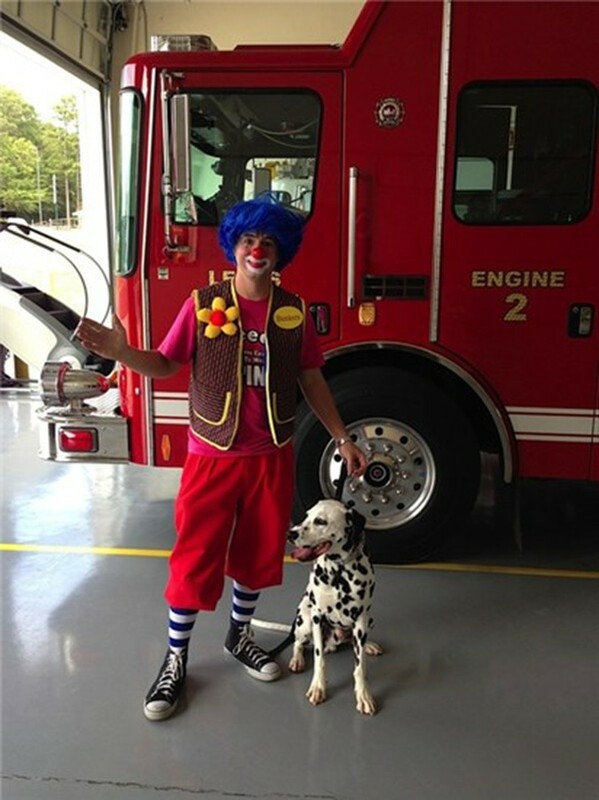 Within the month of October (Fire Prevention Month) our clowns go to community schools and day cares to give a fire prevention presentation to children from grades Kindergarten through 5th. The basic knowledge of fire prevention and safety is very important to instill in young children that may be faced with an emergency situation at any time. Hose-A and Bunkers give an unforgettable demonstration that children can’t get enough of. Each year we return to the schools and the children remember the previous year's theme and the message the clowns deliver, and that means a job well done! We appreciate the time and effort they give in teaching children in our community fire prevention and safety.